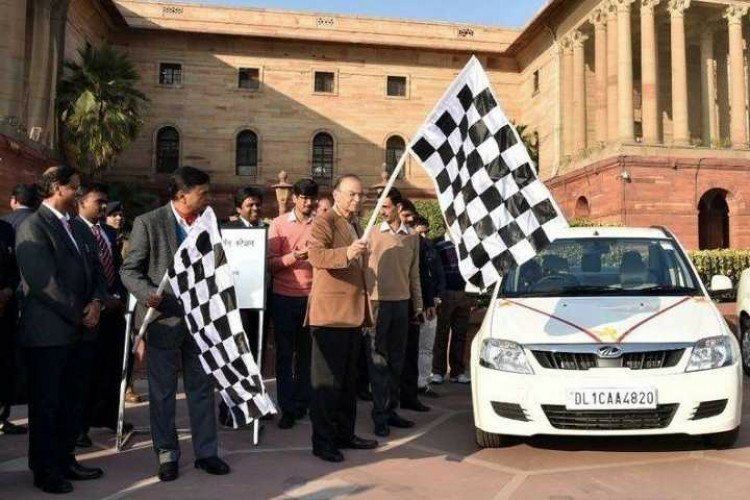 Indian govt is pushing the electronic vehicles for some time and in the latest development, they have deployed 15 of Mahindra e-Verito electric cars to serve the finance ministry officers. The government has also installed 28 charging points within the North block. Among these 4 are supercharging points while 24 will be slow charging points. With this 15 vehicles, Dept of Economic affair will save 36,000 ltr fuel per year.